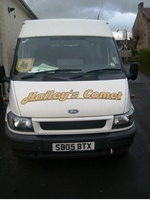 Hailey's Comet of Wishaw in Lanarkshire operate a fleet of minibuses throughout Central Scotland. Whatever the occasion, Hailey's Comet offer a high quality service with reliable vehicles to individuals, groups, organisations and businesses. 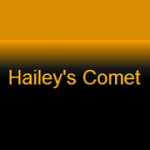 Hailey's Comet of Wishaw has an excellent reputation for a high level of service and customer care and we are committed to providing an unparalleled service. We will transport your group in comfort and safety, and welcome one-off or regular bookings through to on-going contracts. Our fleet of modern, comfortable minibuses have the latest safety features to make travelling with us as safe as possible. All of our minibuses are maintained to an exceptional standard and our drivers undertake regular driver training schemes to meet the highest of standards. Catering for groups from 10-28 passengers, all our chauffeur driven minibuses and small coaches have full size high backed seats with seat belts, provide a high level of comfort and are fitted with the usual safety features you would expect. 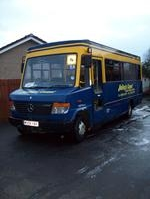 Hailey's Comet of Wishaw have been operating coaches for over 25 years and we pride ourselves on our customer service. We have an exceptional reputation for providing quality minibuses at a reasonable price. Need to arrange transport for a family or group holiday to the airport and back? Leave the worry to us. Door to door service is our speciality. Our driver will arrive in plenty of time to take you to the airport. All you need to concentrate on is enjoying your holiday! Guaranteed service (we will always turn up - no excuses) our chauffeur driven vehicle will turn up earlier than your pick-up time (to load luggage etc), dropped-off and collected at the terminal building, meet and greet service, procedures in place to check in-bound flights are arriving on time (and what to do if not etc), corporate hire is available as one-off bookings or ongoing business accounts and can provide ideal transport for business lunches, corporate meetings and visits, hospitality, office parties, airport and station transfers, transporting clients to / from meetings and events. We know you won't find a better company for your minibus needs, and look forward to your enquiries.